There's nothing more punk than helping people with tech. FreeSpeechMe is a plug-in for Firefox that allows you to easily and seamlessly access .bit sites. The .bit top-level domain is served via Namecoin, a cryptocurrency based on Bitcoin technology. It’s an alternative decentralized DNS not sanctioned by ICANN. It’s a lot harder for a .bit website to be seized and the ICANN doesn’t have any control over the domains. Which means that they don’t automatically have all the info they need to take down your site and, if they really want, take your server(s). 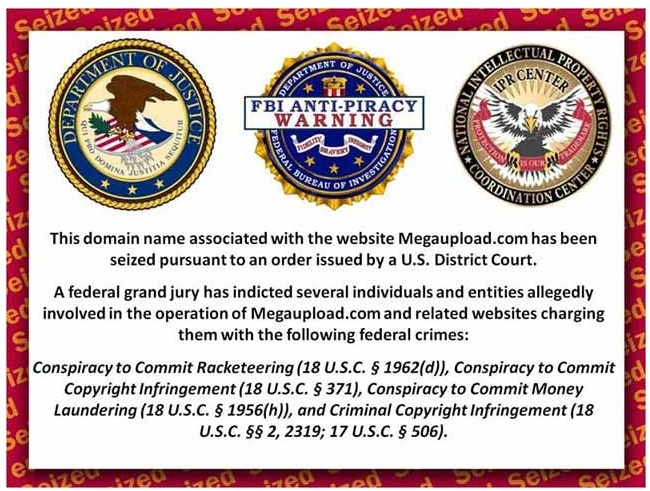 Most of us have seen the page that comes up when a site is seized by the F.B.I, etc. What they’ve done is actually quite simple. They’ve disconnected the link between the website’s domain and the website’s server(s) and then linked the domain to a server hosting the image above. So your website is technically still up and running, but no one can access it through the normal means. The government does this through the ICANN, so there’s nothing you can do other than use another domain. Fortunately, the .bit DNS isn’t controlled by an organization that’ll take down any site the government wants. That means your blog is safe from being taken down. Well, at least in that way because there’s more ways to prevent people from accessing a site like denial of service attacks, etc. The plug-in is still in its beta stage with only Windows and Linux being supported. I can vouch for the Windows version working perfectly after waiting the suggested 5hrs for the DNS data to download for the first time. I’m currently setting it up on my Linux laptop running Linux Mint. The team, Jeremy Rand(programmer and creator) and Michael W. Dean(publicity, etc.) have plans to expand on to other operating systems including OS X and Android. I agree with Michael W. Dean, of the Freedom Feens, when he says that this is the future, Web 4.0, because this is truly revolutionary when it comes to the internet. No longer would we have to rely on the ICANN and what a government deems as an acceptable expression of speech. I’m probably to young to be nostalgic about the early days of the internet, but this technology would bring us back to when the internet was free and pure.